Here are 50 details you may not know about the assassination of President John F. Kennedy. 2) The Presidential Limo had been flown into Dallas for the occasion. 3) The presidential motorcade route was decided on November 18 and released to the public shortly after. 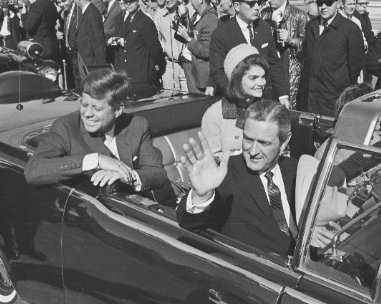 4) November 22nd, 1963 was a sunny Friday in Dallas. 5) Over a quarter of a million people lined the parade route that day. 6) Kennedy was in Dallas less than an hour before being shot. His plane landed at Love Field at 11:37 a.m. 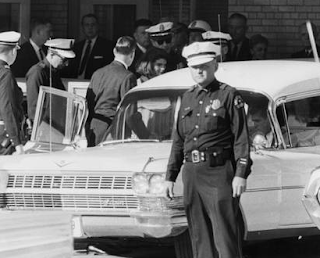 He was shot at 12:30 p.m.
7) Kennedy took a bullet to the upper back and one to the head. Texas Governor John B. Connally Jr. received one bullet to the body. 8) The bullet that hit Connally had already passed through the president’s body. 9) Mrs. Kennedy had just turned toward the president when he was shot: she saw his face as he was hit. 10) Both men were rushed to Parkland Hospital in the presidential limo. 11) Mrs. Kennedy realized just how severely her husband had been wounded. She tried to hold his skull together until they arrived at the hospital. 12) She gave doctors part of Kennedy’s brain-matter that she had been holding in her cupped hands and remained in the operating room with her husband. 13) The President never revived after being shot. 14) John F. Kennedy was the first president to have the last rites administered by a Catholic priest. 18) Dan Rather of CBS News was the first to send the report that Kennedy was dead. CBS Radio went with it – before official word had been given. 19) CBS, ABC and NBC covered the assassination for four days – from 10 minutes after the gunshots were fired until the body had been laid to rest at Arlington Cemetery. 20) This was the longest uninterrupted television coverage of a news event until the attacks in 2001 on September 11th. 21) From this weekend forward, America would turn to television for their news. 19) Lyndon Johnson, acting as president, told White House officials not to release the news of Kennedy’s death until after he had left the hospital, saying he feared a conspiracy. 20) Kennedy’s body was removed from Parkland Hospital before the Dallas coroner could conduct the forensic exam required by Texas law. 21) Mrs. Kennedy refused to change out of her pink Chanel suit, which was covered in the president’s blood. 22) Most Americans did not immediately know the color of her suit because television broadcasts were in black and white at that time. 23) The blood-soaked Chanel suit is preserved at the National Achieves and will not be displayed until at least 2103, and then only at the discretion of the Kennedy family. 24) At 2 p.m. Mrs. Kennedy was taken back to Air Force One with her husband’s body, which had been placed in a bronze casket. 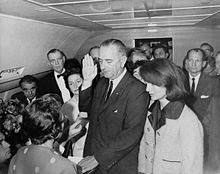 25) Vice President Lyndon Johnson was sworn in as president at 2:39 p.m. aboard Air Force One as it sat on the runway of Love Field in Dallas. 26) The only woman to administer the oath of office to a president was Federal Judge Sarah Hughes aboard Air Force One. 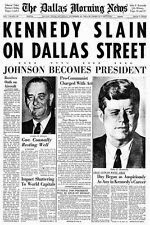 27) Johnson became president 99 minutes after Kennedy died. 28) Besides the new president, the new first lady and the former first lady, Air Force One was also carrying the slain president’s body back to Washington. 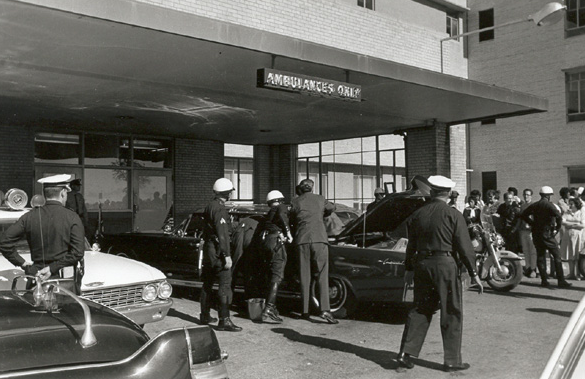 29) Upon arrival, the president’s body was taken to Bethesda Naval Hospital for an autopsy. 30) The embalming and cosmetic restoration was also done at Bethesda. 31) The President’s body was then placed in the East Room for 24 hours as he lay in repose. 32) Two Catholic priests stayed with the body during this time at the request of Mrs. Kennedy. 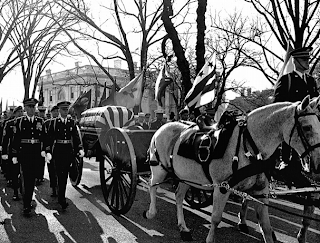 31) On Sunday, the flag-draped coffin was taken on a horse-drawn caisson to the U.S. Capitol to lie in state. 32) Over 250,000 people passed through the Capitol to show their respects. 33) Hundreds of thousands lined the streets in mourning. 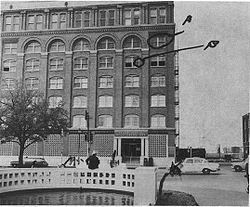 34) The gunfire that killed Kennedy reportedly came from the Texas School Book Depository on the sixth floor. 35) Lee Harvey Oswald had begun working at the Book Depository one month before. 36) Oswald was arrested at 2:00 p.m. in a movie theatre. 37) He was not arrested for killing the President. He was arrested for killing police officer J.D. Tippit. 38) As Oswald was being transferred from the Dallas City Jail to the Dallas County Jail, he was shot and killed by nightclub owner, Jack Ruby. 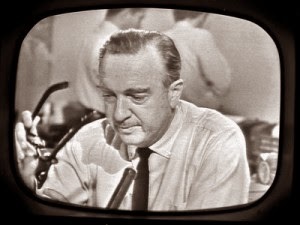 39) This was the first homicide broadcast live on television. 40) Lee Harvey Oswald died at 1:07 p.m. at Parkland Hospital – exactly two days and seven minutes after President John F. Kennedy, the man he had killed. 41) Conspiracy theories quickly developed. Today almost 60% of Americans still believe the president’s murder was part of a plot or cover-up. 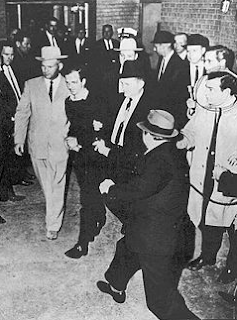 42) Jack Ruby was convicted of “murder with malice” for killing Oswald and sentenced to death. His conviction was overturned. He was awaiting a new trial when he died of lung cancer in 1967. 43) The House Select Committee on Assassinations later concluded that President Kennedy had not been given satisfactory protection while in Dallas. 44) The Secret Service agents had not followed correct procedure to protect the President from a sniper. 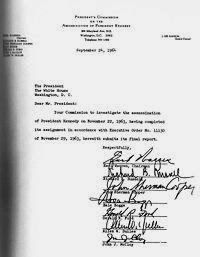 45) In 1963, the Warren Commission released an 888-page final report on its investigation into the assassination of the president. 46) Businesses around the country, along with the U.S. Stock Exchange, closed their doors immediately after the President’s death and did not reopen until November 26th. 47) President Johnson declared Sunday, November 25th a day of national mourning. 48) On November 25th President Kennedy was buried at Arlington National Cemetery with full military honors. 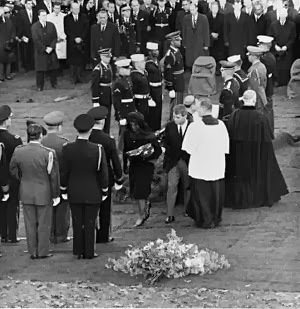 49) Mrs. Kennedy requested that an eternal flame be placed on the President’s grave. 50) President Kennedy is the most recent president to have been killed in office. In all, four U.S. presidents have been assassinated while in office: Abraham Lincoln, James Garfield, William McKinley and John F. Kennedy. 17 is incorrect. Teddy Roosevelt was the youngest president at 42, but it was a result of McKinley's death, not being elected. 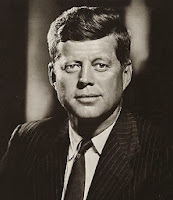 JFK wins for being the youngest person to be elected president at 43. For the conspiracy theory comment, there is plenty of evidence that raises enough questions the only conspiracy theory is those who blindly accept Oswald acted alone. Based on evidence, there is no way he killed JFK, but hey why let the evidence sway you? I never paid attention to the whole Oswald issue until I watched the Oswald assassination a few years back. Thanks for the catch, Joe! i am doing some labeling of my cemetery images and found your site while looking for the meaning of some symbols, lovely site!